This book is engaging, exciting, and complex. 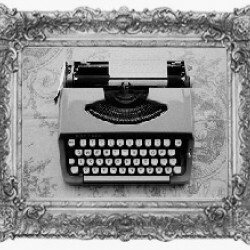 The world Pullman created is so vivid and the characters are intriguing. Pullman’s world is so unique. I love the idea of each person having a daemon, an animal who is a part of our soul. Right away, it’s easy to see that Lyra, the protagonist, and Pan, her daemon, are extremely complex characters. Pan is usually the more cautious one but, really, her and Pan are so much alike (obviously) that they share a lot of characteristics. The dynamic between her and Pan is beautiful to read. Also, right away I enjoyed Lyra’s rebellious nature; she loathes being told she needs to act more “feminine”. She’s also the type of character who is extremely intelligent and witty, and won’t hesitate to do what she thinks is right regardless what others say. Yes, she makes mistakes, but once she realizes she’s made a mistake - like trusting Asriel - she tries to fix it and/or learns from it. I really enjoy Pullman’s descriptions. The descriptions were simple yet lovely. I also like that Pullman isn’t afraid to describe the brutality of the fight scenes. I’m not quite sure if I believe that Asriel is against the Oblation board at times because he does exactly what they do to Roger. I would argue that he does it in an even more cruel way. So, this character’s hypocrisy didn’t sit well with me (maybe that was Pullman’s intention). 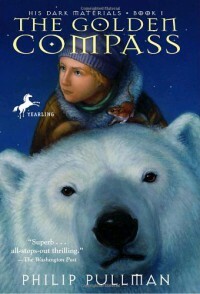 Overall, The Golden Compass is a really good novel. It drew me in right away.